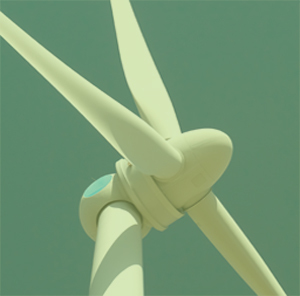 When planning curtailment algorithms for wind turbines a reliable acquisition of bat activity at hub height or even better within the area covered by a wind turbines blades should be established. Only that allows to determine times, temperatures and wind speeds that include or exclude bat activity. This implies that detection distance should be maximized as far as possible yet without getting too many false positive recordings triggered by runtime noises. 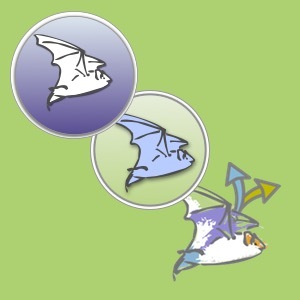 For modern turbines with blade lengths of 90 m or more a certain number of missed bats has to be accepted. Thus any reduction of detection distance should be well considered and be avoided. If high sensitivity leads to a lot of noise recordings, it might be necessary to not reduce detection distance but evaluate other measures. When using the batcorder the threshold value determines the detection distance. 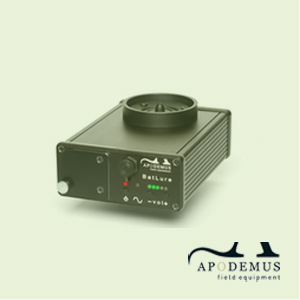 A good value that gives stable results and was used in a German-wide research project is -36 dB. This allows usage of the tool ProBat if post trigger was set to 200 ms or this value was later simulated using bcAdmin. Quality-value is recommended to be set to 20 and critical frequency at 16. 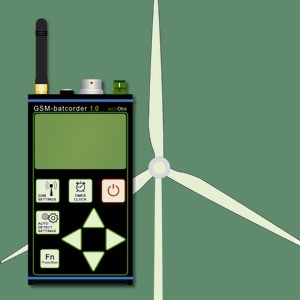 While some wind turbines run without triggering recordings, others produce a lot of ultrasonic noise. Often these noises are at SPL levels above 100 dB and thus rather loud. 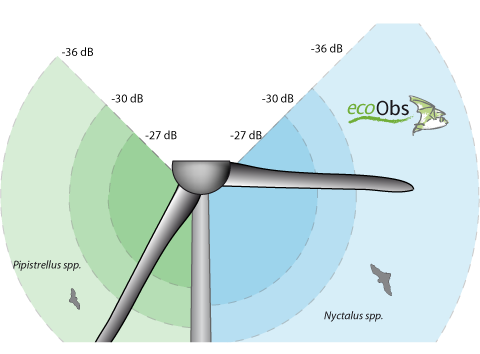 Depending on the built of the turbine these noise show different characteristics. 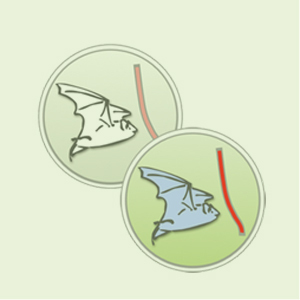 While some are harmless, others may even overlap bat calls completely. Choosing an appropriate installation often reduces these noises to a minimum of a few to a hundred a night, and thus allow long term nacelle monitoring. 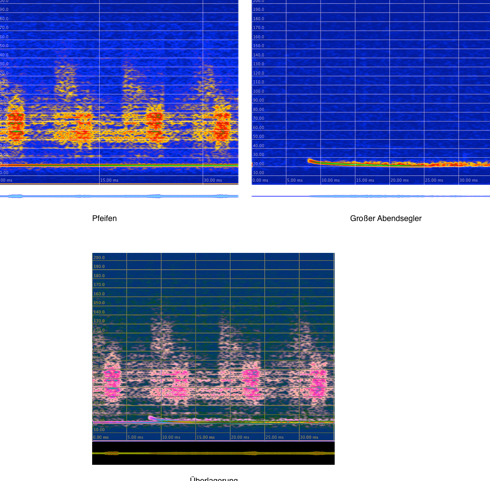 See an overview of sonograms showing various of these noises. Upper right shows rain or other short pops. Left column shows gear or fans. 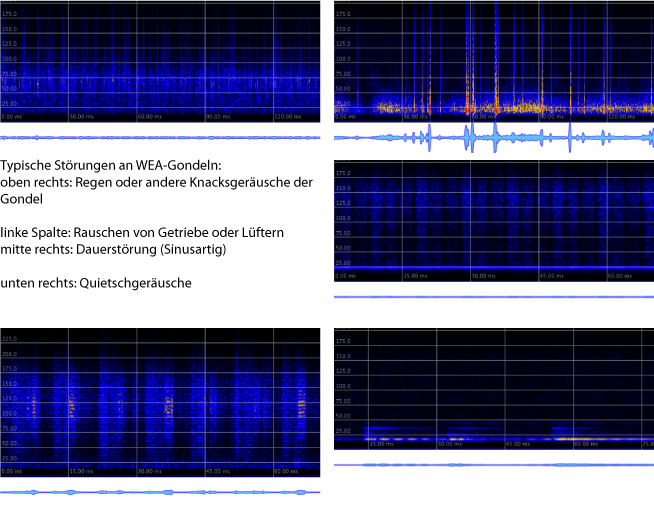 Middle right shows a sinusoidal noise at around 20 kHz. At the lower right squeak nosies are shown. Noises are annoying. For once they may produce a large number of recordings which then need to be controlled for bat calls. While automatic call finders often still succeed, some noises may interfere and thus manual control is necessary. Depending on the number of recordings it may be viable to check only every 5th or 10th recording. bcAdmin offers a feature for that. Yet there are also turbines that produce squeaking noises for example due to their breaks. These often are sinusoidal and at bat call frequencies – often around 20 kHz. As seen in the following image, such noises can overlap and hide bat calls. 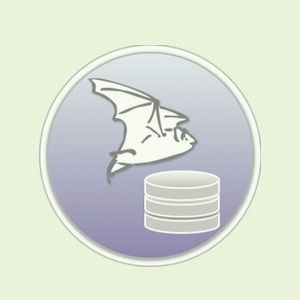 If that happens regularly, bat activity will be underestimated. At such sites either monitoring is not possible, or the turbine has to be shut down for monitoring. First of all check that the batcorder is not situated directly next to machinery that can produce noises. Often this is the most simple way to deal with noise. Sometimes noise recordings appear due to massive harmonics on the main power line. These can’t be filtered out too easily without special filter hardware. A more simple solution is to power the batcorder with a large capacity battery, like for example a battery used for pasture fences or similar. 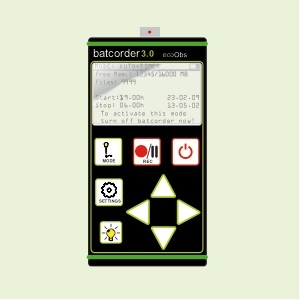 With these the batcorder can be run for 5 to 8 months independently. 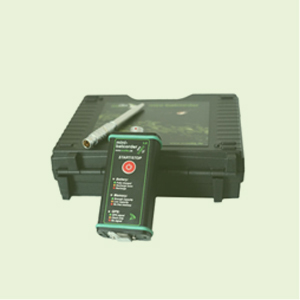 Alternatives are USP like solutions containing a larger battery. 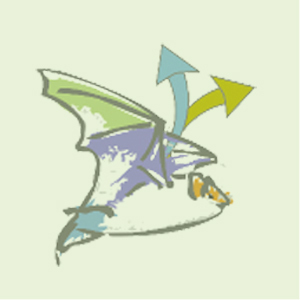 The most optimal solution is to power down the turbine and stopp it while monitoring bat activity. 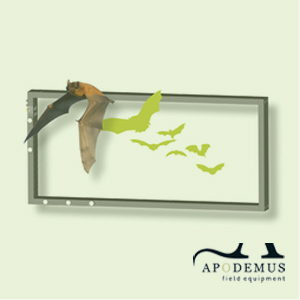 While the owners will see it different, that way you also solve possible bat kills that may be against local nature laws. Only then, when activity is assessed and known, the turbines will be run under the calculated curtailment. 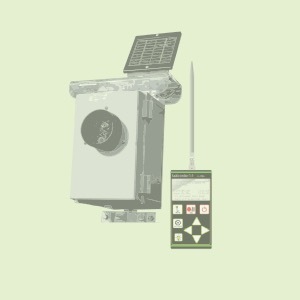 As an alternative for reducing noise recordings the detectors sensitivity can be lowered. For the batcorder that means to use a threshold of -30 dB or -27 dB instead of 36 dB. Note however that this may lead to many missed bats and thus an underestimation of activity. The -36 dB detection distance already doesn’t cover modern blades and with even lower detector ranges a lot of activity within blade area is missed. The following graph shows detection distances for various threshold values.